he casual Wear manufactured by us are made according to highest international quality standards. We offer mens casual wear in full-sleeve and half-sleeve patterns. They have distinguished features like fine quality, designer collars and trendy color combination. 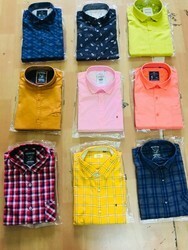 Riding on unfathomable volumes of industrial expertise, we are offering an elegant range of Men's Casual Check Shirts. 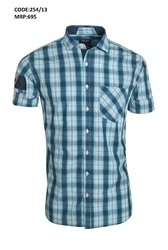 Immensely popular in the market, this shirt is quite impressive and guaranteed of its quality. Offered shirt is not only designed using world class fabric but also checked on defined parameters of quality.